While attending the University of Houston Law Center, J. Michael Clay worked as a student attorney for the University of Houston Legal Aid Clinic, where he handled family law cases exclusively. Additionally, he served as an intern law clerk to the late Judge John Montgomery in the 309th District Court of Harris County, Texas (a court dedicated exclusively to family-law matters). 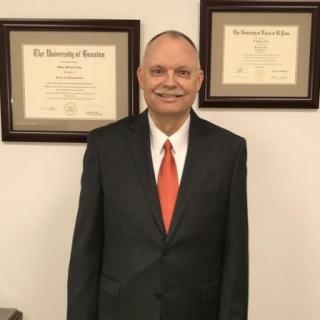 During his second and third years of law school, J. Michael Clay worked as a law clerk for general-practice attorney Oscar Nipper, Esq., where he continued to work as a staff attorney following graduation until 1992. In 1992, J. Michael Clay moved to San Antonio, where he began practicing as a solo practitioner and created The Law Office of J. Michael Clay, P.C. Since that time, J. Michael Clay has helped hundreds of clients in and around Bexar County, Texas, primarily in family law matters. J. Michael Clay is a member of the Texas Bar Association (Family Law Division) and the San Antonio Bar Association. He is licensed by the Supreme Court of Texas to practice law in all Texas courts, and is also licensed to practice in the Federal District Court (Western Division of Texas). Can You Claim Your Partner as a Dependent on Your Tax Return?